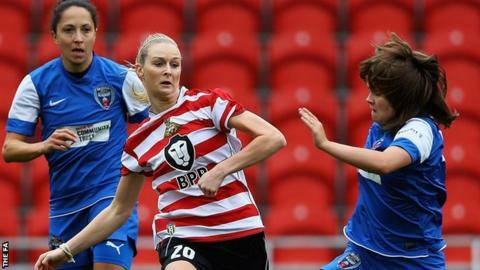 Wales defender Rhiannon Roberts has signed a professional contract with Doncaster Rovers Belles. The 25-year-old joined the club from Blackburn in 2013 and made 24 appearances last season as they won promotion to Women's Super League 1. "To be able to train every day and just concentrate on football is like a dream come true," she told the club website. "I feel I still have a lot of progression to make and haven't yet reached my peak in football."